× Warning! Your Browser is not fully supported by TIXBOX. Some parts of TIXBOX will not work and you may experience problems. If you are having problems, try Google Chrome. 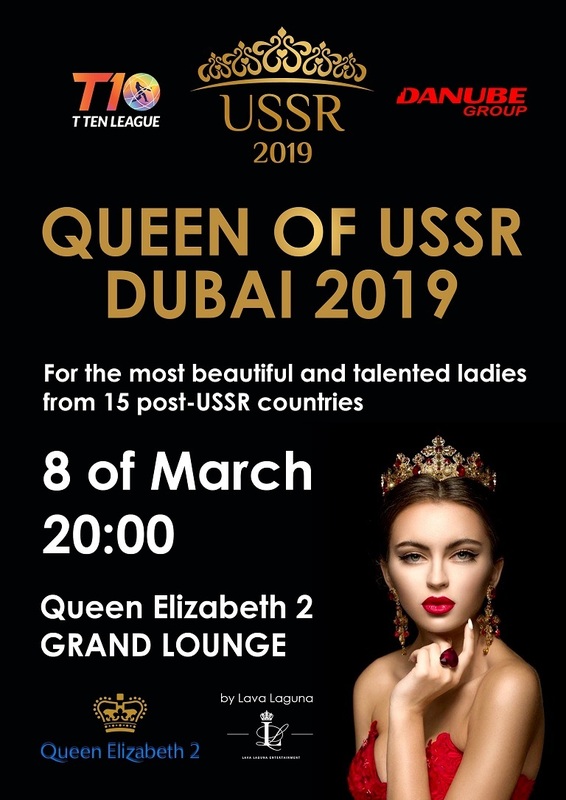 USSR Greatest show "Queen of USSR 2018" is a beautiful festival of the ladies from 15 CIS countries'. Talented and passionate, gorgeous and gracious, the models will fight for the titles, presenting their cultures on the stage with the help of national costumes, dances, songs, music, videos, etc. The show contains performances from each country, 3 fashion shows (National Costumes, Gatsby Style, James Bond Style and Elizabethian Period Style), Awarding Ceremony and After-Party. Event subscription is completed successfully. System error occurred. Please try again in a few minutes. TixBox offers a simplified ticketing experience for live events & entertainment lovers locally and internationally. © 2019 Tixbox.com All rights reserved.